HomeBlogCustomer RetentionRetention Marketing: What is it, Why Should I do it, and How do I Start? Retention Marketing: What is it, Why Should I do it, and How do I Start? Ecommerce marketers have quickly grown accustomed to hearing terms such as: Conversion rate, CPC, CPA, and even CPM. All of these are incredibly important to the success of your online store, but they all are focused on one thing, creating a new customer. The creation of a new customer is actually only the first step on a much longer journey. Let me explain. The tactics and metrics listed above are great for optimizing your store to create customers, but then what? Well, if you don’t do any retention marketing that shopper will likely be with your competitor for their next purchase. Retention marketing is the vital next step after a shopper makes their first purchase and becomes a customer. Retention marketing is the activities your store engages in to increase the amount of customers who return to make a repeat purchase. It also focuses on increasing the profitability of your existing customers. Retention marketing focuses on increasing the profitability of your existing customers. A logical next question may be, will retention marketing replace my existing marketing strategies like Pay Per Click and Social media? No, retention marketing and acquisition marketing are meant to be used in tandem. They are a team like peanut butter and jelly or Batman and Robin. The amount of each that you use will vary based on a few factors including where your store is in it’s lifecycle. The timeline above is a rough breakdown of how you should split your marketing efforts between acquisition and retention based on your store’s sales numbers. If you want a detailed explanation of how to determine the best mix you can read “The Ultimate Guide to Customer Retention” it will show you the best mix for your store. Retention marketing also comes with its own set of key metrics much like acquisition. Purchase Frequency – The number of times a customer makes a purchase from a single seller in a given time period. Repeat Customer Rate – The percentage of customers who shop on your site who return to make a second purchase. Customer Lifetime Value – A measure of the value a customer provides to your store over the course of their entire shopping life. To keep this post a manageable size I will not go into detail on each but you can click each to read more on how to calculate each and some tips on how to improve them. 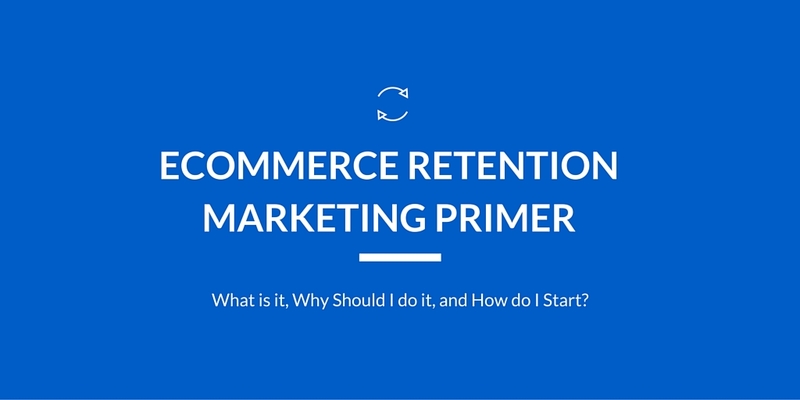 Now that you know what retention marketing is we can now look into why you should use it. The short answer is that a retention marketing strategy makes you more profitable! The Harvard Business Review estimates that a 5% increase in retention can result in a 95% increase in profitability. Adobe also found that a repeat customer ix 9x more likely to convert than a first time shopper. The long answer is that it gives your store a defensible position in a rapidly changing ecommerce landscape. Ecommerce platforms like Shopify and Bigcommerce have made it very easy to start an online store. The barriers to sell online have all but been removed. Ecommerce platforms like Shopify and Bigcommerce have made it very easy to start an online store. The barriers to sell online have all but been removed. SaaS based ecommerce platforms like Shopify and Bigcommerce have removed the barriers to starting an online store. Anyone can start a store in a day or two, and this means more competition and higher ad prices! When entering the ecommerce world becomes easier it means that there are more stores competing for those same ad spots and keywords then there was before. Supply and demand will drive the prices of traditional advertising up. More people wanting to advertise means that you will be paying more to out bid them. In fact, since 2012 the average CPC on Adwords has been increasing while average position you get is on the decline according to AdGooroo. In summary, as ecommerce becomes more popular the price you pay to acquire a customer will continue to rise and effectiveness will decline. This is a scary thought if acquisition is your main focus. But when you have a solid retention strategy in place you can afford to pay these increasing prices because you know that customer will continue to come back again and again (Customer Lifetime Value). Keep reading to discover how to start a retention marketing strategy for your store. How do I Start a Retention Marketing Strategy? Again if you want the most comprehensive information on crafting a strategy I would recommend reading this retention guide, but I will break it down as best I can in a short amount of space. Let me start by saying that a proper retention strategy requires an adequate amount of time and financial resources. You would not expect to improve your site traffic without investing in Adwords or retargeting and you can’t better your retention without the same level of focus. The problem is that the majority of stores do not take retention as serious as acquisition. The average ecommerce store devotes only 19% of marketing budget to retention even though repeat customers represent 41% of revenue. Despite all the evidence that more repeat customers means more revenue and increased profitability the majority of ecommerce stores do not adequately invest in retention tactics. This is likely because repeat and return customers only represent about 8% of a store’s traffic which makes it difficult to justify any spending. The thing is when you look at the revenue they represent it becomes much easier to justify. Repeat customers (8%) represent 41% of the average store’s revenue. I hope this stat makes you eager to invest in some retention marketing tactics and tools! To summarize this section the way to start a retention marketing strategy is by taking it as serious as your acquisition efforts. This means giving it the time it deserves and investing in the proper tools which I will go over now. Referral programs are actually a great way to start a retention strategy. They actually help both your acquisition and retention strategies. They increase the reach of your store to existing customer’s friends and family (acquisition) while also increasing the commitment a customer has show to your store (retention). Referrals also have the benefit of being the most trusted form of advertising. In fact, according to Nielsen 84% of consumers trust a referral from a friend. This is an easy one to implement as many retailers are already engaged in some form of email marketing. Retention emails are campaigns that are focused on getting a customer to return more frequently than they normally would. One popular form of retention email is what I refer to as a “lost customer email.” This is an email you send to a customer who has gone an exceptionally long time without making a purchase. In the email you offer a steeper incentive than normal as a last attempt to recover this lost customer. If they take the incentive then you can begin to revive the relationship to increase their customer lifetime value. This is my favorite retention tool, which makes sense because I work at Sweet Tooth. But loyalty programs are actually one of the most effective retention tools at your disposal. A loyalty program can become an aggregator of multiple retention strategies including: referrals, account registrations, emails, and more. This is because you can reward points to incentivize your customers to do actions that make them much more likely to stay with your store. This lets you accomplish many retention goals at the same time with a single tool. Also, when customers have a point balance it gives them a switching cost which makes it more difficult to choose a competitor and leave points on the table. If you are interested in seeing if a loyalty program will work for your store you can take our free loyalty assessment. What Are You Doing for Your Retention Efforts? Now that I have given my two cents on the effectiveness of retention marketing I would love to hear what you are doing. Have you used any of these retention tools? Have you started tracking retention metrics? Or simply what do you do to WOW your customers and keep them coming back? Let me know in the comment section down below and for more on retention and loyalty you can check out the Sweet Tooth Blog. 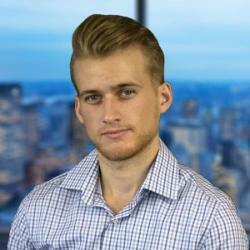 Alex McEachern is a Loyalty Marketing Specialist at Sweet Tooth, a loyalty and rewards app for ecommerce sites. He loves trivia, baseball, and he is Canadian so yes he likes hockey!